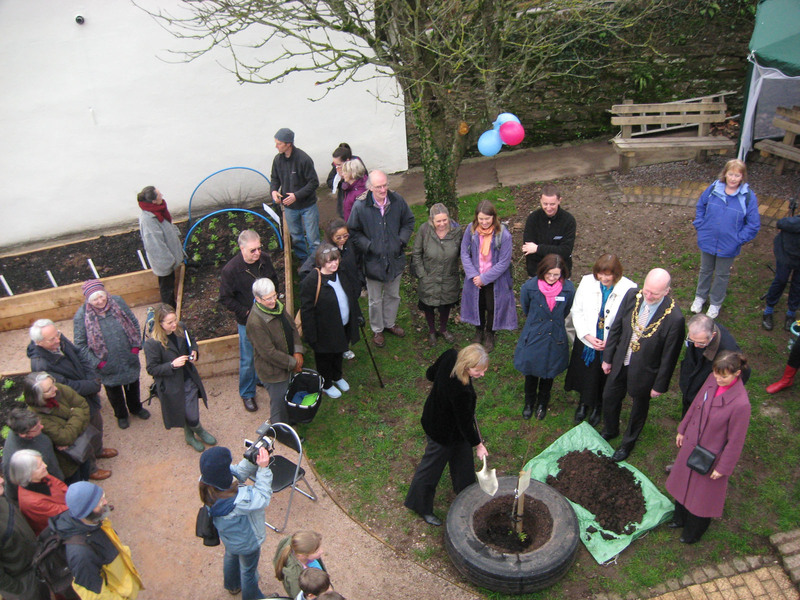 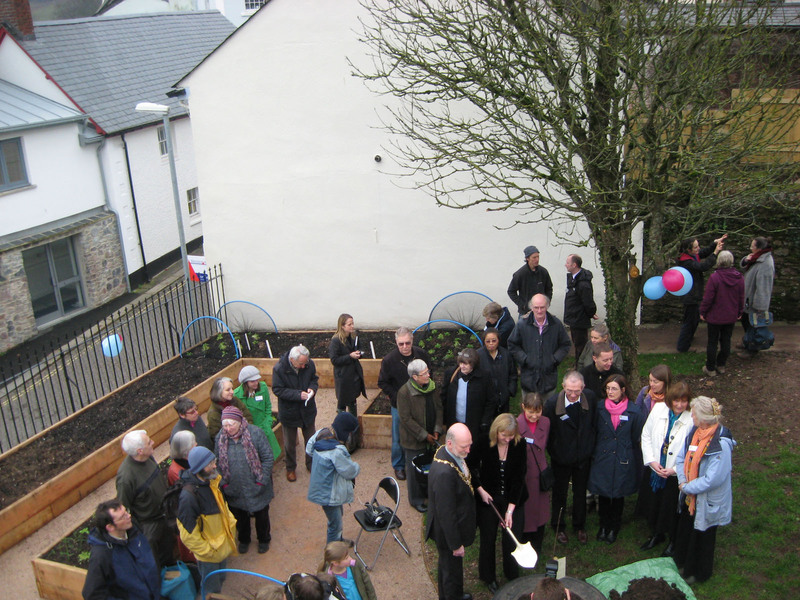 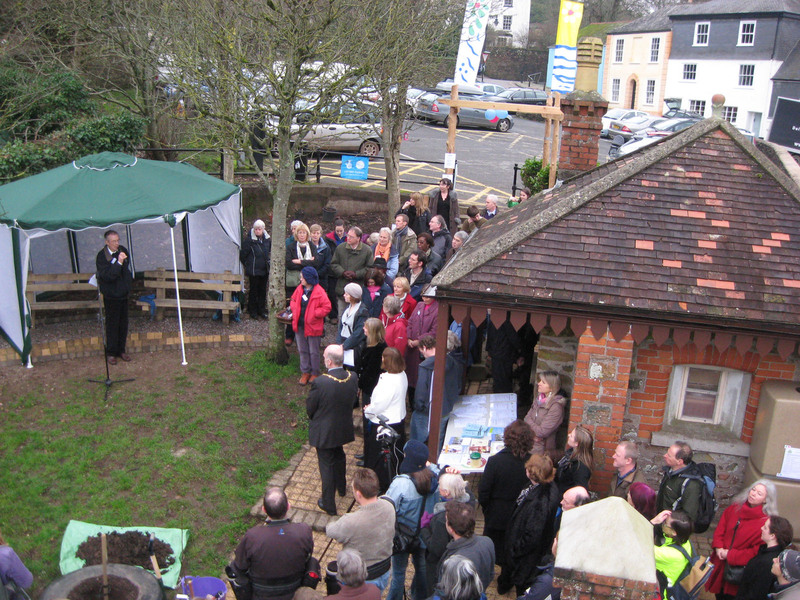 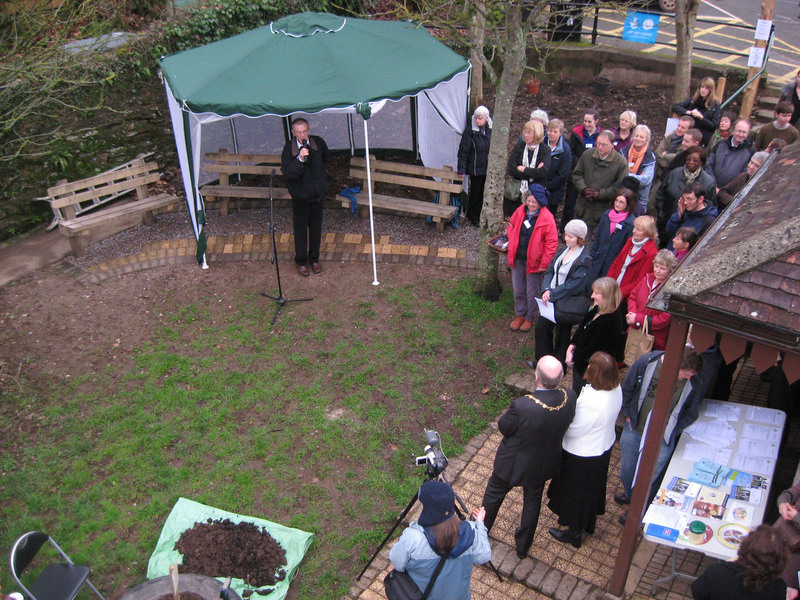 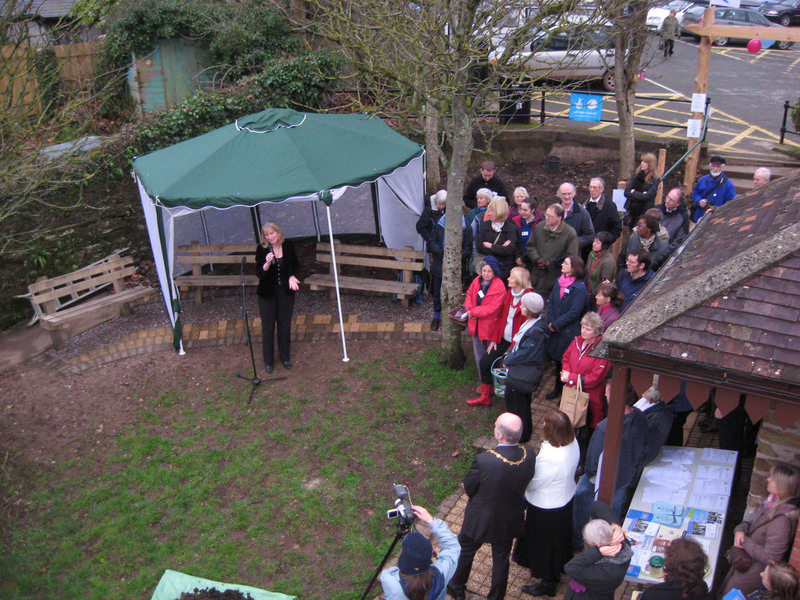 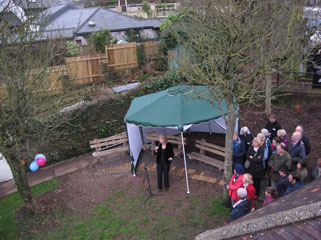 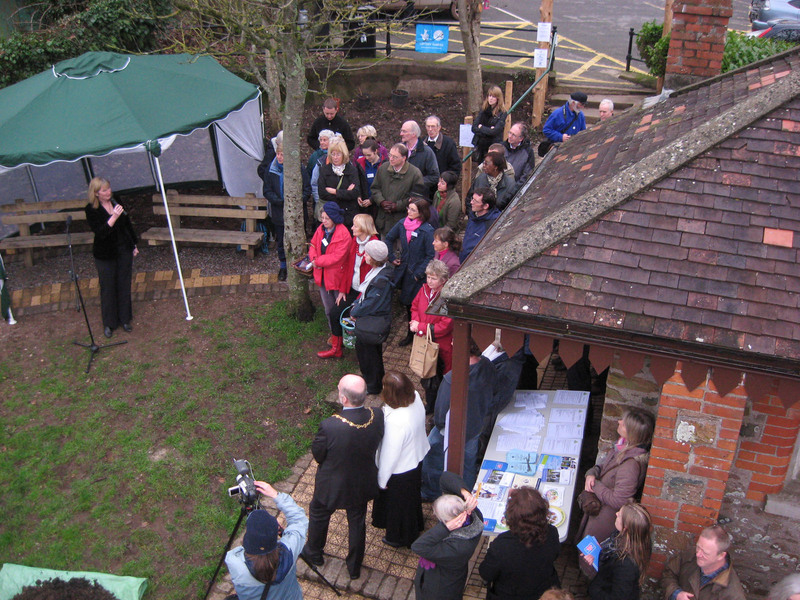 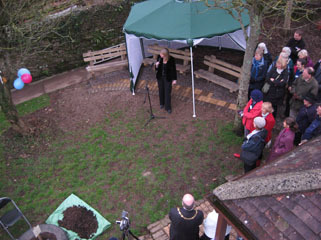 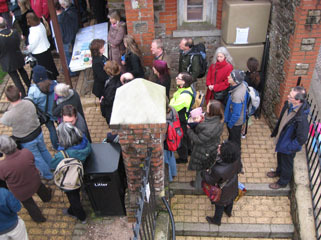 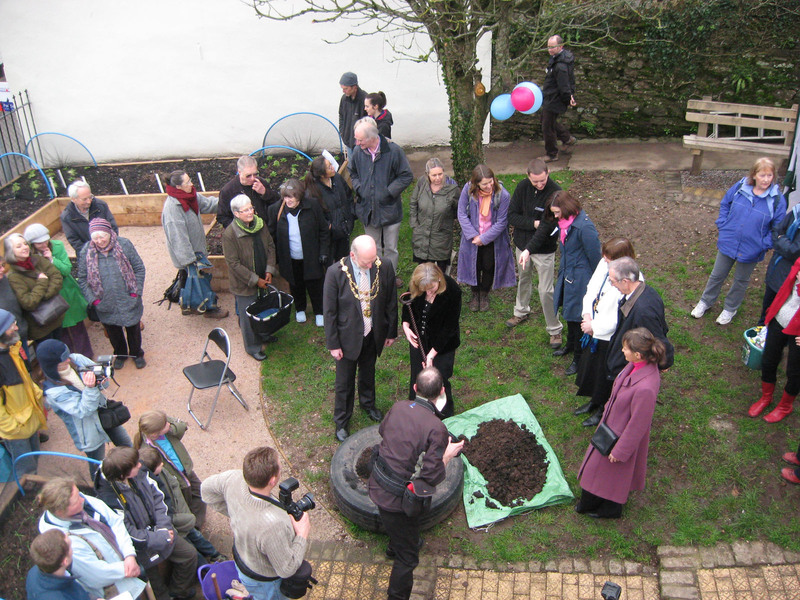 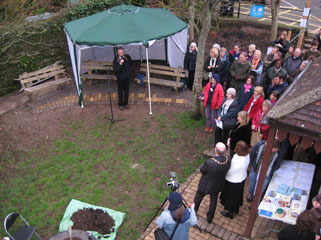 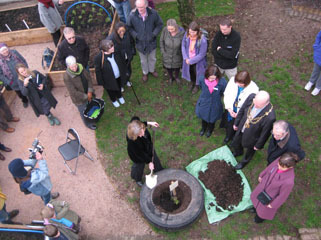 On Friday February 18th 2011, Totnes MP Sarah Wollaston officially opened the new Totnes Healthy Futures garden at the top of the Lamb. The project aims to link community food production with national health initiatives. 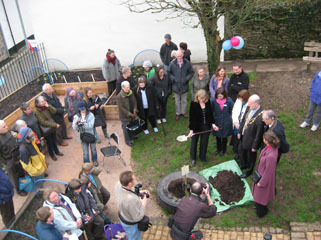 To mark the event, Dr. Sarah Wollaston planted a Sherry Surprise apple tree - a unique variety and local tree species found by a resident in Totnes - which should bear healthy fruits in years to come. 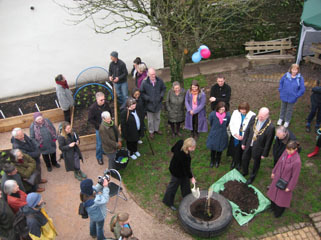 Many more produce will be grown in the newly raised vegetable beds at the Lamb. Growing activities, under guidance from School Farm, start at the site this month. 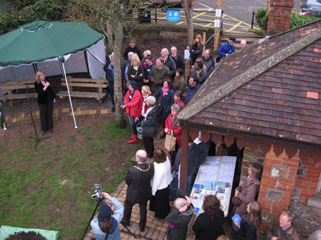 The renovated Ticket Office is to become the "Hub" of THF, where information about healthy eating and living will be available. 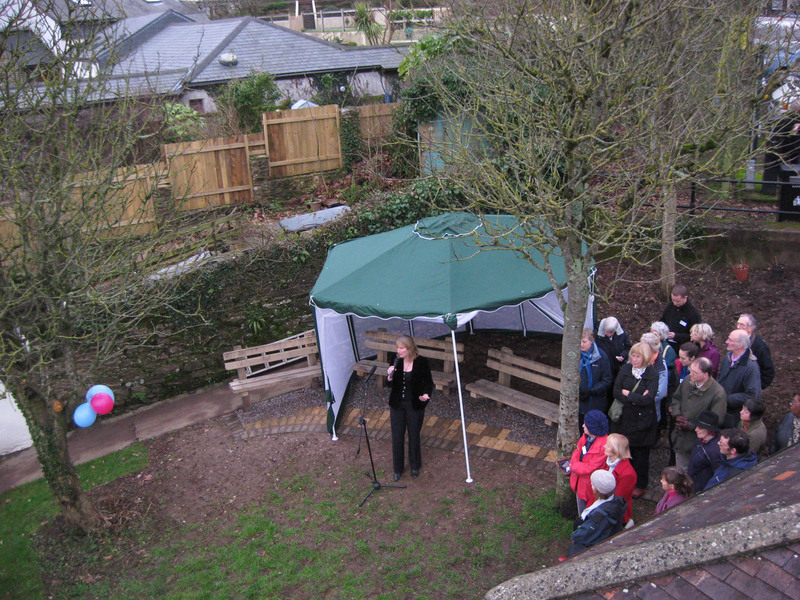 Totnes Development Trust is leading this project in cooperation with Totnes Leatside Surgery, the Faculty of Health at the University of Plymouth, with input from Transition Town Totnes and South Hams District Council. Funding for THF has been provided by the BIG Lottery through Awards for All, LEAF, Leatside Surgery, SHDC and C. Milne.